Defenders of persons accused of drunk driving today must not only be counselors, consolers, legal advisors, litigators, legal researchers, writers, investigators, and strategists, they must also be prepared to confront an ever widening array of scientific procedures and tests offered against defendants in court and at driver licensing hearings which are designed to prove their client’s guilt. Attorneys must understand scientific techniques and how to question reliability, accuracy, and validity, and at the same time must understand the laws and be able to navigate through a maze of contradictory and confusing cases, to see the client through to an acquittal. This article attempts to traverse the labyrinth of cases that can be used by a skilled lawyer to obtain an acquittal or at least suppression or limitation of the state’s scientific evidence. A second observation, is that many of the cases which appear on their face to be cases that favor the state, contain language enabling future defendants to raise defenses and support requests for discovery and subpoenas that would not have been possible previously. Many of the decisions contain terms such as “prima facie,” “presumption,” “reliability,” “accuracy,” and “harmless error.” These decisions, although decided in favor of the state, disclose analyses by which a defendant may argue for a different result, under different facts and circumstances, by making it clear that the government’s showing of reliability and accuracy may be rebutted by the defendant. A third observation is that there is quite a bit of overlap between different theories of exclusion. If a pending case is in a jurisdiction where one line of reasoning has been shut down by the courts or the legislature, the attorney may be able to graft the reasoning from another state’s decision on a different legal analysis to create a rationale for exclusion that has not yet been foreclosed by the courts or legislature. Most states have a case that states the foundation for the admission of a breath test. In one state, it may be a case that focuses on statutory requirements while in another it might be a Confrontation Clause case. In a state where the court has ruled that a certain test result is automatically admissible as valid scientific evidence as a result of legislative fiat, counsel may be able to borrow from another state’s Confrontation Clause decisions, for example, to argue for exclusion. In those states where “reliability” is a condition precedent to admissibility, it does not matter whether the requirement of reliability has as its source an evidentiary rule, statute, regulation, or a constitutional guarantee. Defense counsel is still empowered to engage in an investigation, fueled by the need and duty to attempt to rebut the presumption of reliability, to discover the weak link in the state’s scientific evidence; and having found the weak link, to argue for exclusion of the evidence in court or at an administrative proceeding. A few caveats are in order. This article is limited to drunk driving cases where the defendant is challenging the government’s scientific evidence. Additionally, whenever a federal constitutional provision is held to deny relief on a particular issue, counsel should consider mounting a challenge under a state constitutional provision that may be interpreted more broadly than its federal counterpart. Finally, this article does not aim to be as comprehensive as treatises such as Scientific Evidence, Third Edition, by Paul C. Gianelli and Edward J. Immwinkelreid (Lexis Law Publishing), Drunk Driving Defense, Fifth Edition, by Lawrence Taylor (Aspen Law & Business), Drinking/Driving Litigation Criminal and Civil, Second Edition, by Don Nichols and Flem Whited (West Group), Defending Drinking Drivers, by John Tarantino (James Publishing Co.) and Defense of Drunk Driving Cases, Criminal and Civil, Second Edition, by Richard Erwin (Matthew Bender). All of these excellent resources aided in compiling citations for this article. It is not the intent of this article to cite every case relevant to scientific evidence in drunk driving cases or to analyze the cases that are cited in great depth. Rather its purpose is to provide a framework for analyzing potential challenges to scientific evidence. It will likely be necessary to do further investigation and research to determine whether a specific attack on the state’s scientific evidence will be well grounded in fact, law, and/or science in your case. Frye, 293 F. at 1014. Finding Frye’s test not to have gained general acceptance among “physiological and psychological authorities,” his conviction was affirmed. In Daubert, the Supreme Court considered a claim that birth defects had been caused by Bendectin. Summary judgment had been granted against the plaintiffs because the trial court had ruled inadmissible the plaintiffs’ scientific evidence showing a causal connection. The evidence consisted of tests on animals and in vitro tests, but there was no direct evidence that Bendectin caused birth defects in humans. The Court held that Frye had been displaced by the adoption of the Federal Rules of Evidence and suggested a number of factors a court could consider to determine the admissibility of scientific evidence under Rule 104(a)(relating to preliminary questions of admissibility) while also stating that, “we do not presume to set out a definitive checklist or test.” 509 U.S. at 593. Included in a court’s analysis should be a consideration of whether the theory or technique can be or has been tested, has been subjected to peer review or publication, has a known rate of error and standards governing the technique’s operation, and could also include a consideration of whether the theory or technique has gained general acceptance in the relevant scientific field. The Court stressed that its test was a “flexible” one, focused on the methodology of the technique or theory to allow courts to determine whether the evidence is sufficiently reliable to satisfy Rule 702. The Court noted that the evidence must still pass muster under other rules of evidence, including Rules 703, 706, and 403. Having announced a new rule in Daubert, the Supreme Court remanded the case. Daubert was followed by General Elec. Co. v. Joiner, 522 U.S. 136 (1997), holding the standard of appellate review of the trial court’s rulings on admissibility of expert testimony to be abuse of discretion. In Kumho Tire, Ltd. v. Carmichael, 526 U.S. 137 (1999), the Supreme Court held that the Daubert analysis, requiring the trial judge to serve as the “gatekeeper” of scientific evidence and evaluate its relevance and reliability, applied to all expert testimony, clarifying that Daubert does not apply only to scientific evidence, but also applies to “technical, or other specialized knowledge” listed in Rule 702. Some jurisdictions do not follow Daubert or Frye, instead fashioning their own test to determine whether novel scientific evidence will be admitted. E.g., Harper v. State, 292 S.E.2d 389 (Ga. 1982) (“whether the procedure or technique has reached a scientific stage of verifiable certainty, or ... whether the procedure rests on the laws of nature”); State v. Fukusaku, 946 P.2d 32 (Ha.1997) (evidence must be relevant and reliable); Leaf v. Goodyear Tire & Rubber Co., 590 N.W.2d 525 (Iowa 1999) (evidence must be relevant and reliable); State v. Council, 515 S.E.2d 508 (S.C. 1999) (court considers “(1) the publications and peer review of the technique; (2) prior application of the method to the type of evidence involved in the case; (3) the quality control procedures used to ensure reliability; and (4) the consistency of the method with recognized scientific laws and procedures”); E.I. du Pont de Nemours and Co. v. Robinson, 923 S.W.2d 549 (Tex.1995) (the court should consider “(1) the extent to which the theory has been or can be tested; (2) the extent to which the technique relies upon the subjective interpretation of the expert; (3) whether the theory has been subjected to peer review and/or publication; (4) the technique’s potential rate of error; (5) whether the underlying theory or technique has been generally accepted as valid by the relevant scientific community; and (6) the non-judicial uses which have been made of the theory or technique”); State v. Crosby, 927 P.2d 638 (Utah 1996) (court determines if process is “inherently reliable,” “a determination that the scientific principles or techniques at issue have been properly applied to the facts of the particular case by sufficiently qualified experts” and whether probative value outweighs unfairly prejudicial effect). The following cases adhere to Frye. Simmons v. State, 797 So.2d 1134 (Ala.Crim.App. 2000), cert. denied, 797 So.2d 1186 (Ala.), cert. denied, 122 S.Ct. 298 (2001); State v. Lehr, 38 P.2d 1172 (Az. 2002); People v. Soto, 981 P.2d 958 (Ca. 1999); Ramirez v. State, 810 So.2d 836 (Fla. 2001); People v. Davis, 710 N.E.2d 1251 (Ill. 1999); State v. Shively, 999 P.2d 952 (Kan. 2000); People v. Lee, 537 N.W.2d 233 (Mich.App. 1995); Goldstein v. State, 664 A.2d 375 (Md. 1995); Goeb v. Tharaldson, 615 N.W.2d 800 (Minn.2000); Young v. City of Brookhaven, 693 So.2d 1355 (Miss. 1997) (HGN does not satisfy Frye but may be used for probable cause); State v. Davis, 814 S.W.2d 593 (Mo. 1991); Dow Chemical Co. v. Mahlum, 970 P.2d 98 (Nev. 1998); State v. Fortin, 745 A.2d 509 (N.J. 2000); People v. Jason, 694 N.Y.S.2d 908 (N.Y. 1999); Commonwealth v. Crews, 640 A.2d 395 (Pa. 1994); State v. Baity, 21 P.2d 262 (Wash. 2001) (DRE “protocol meets the mandate of Frye”). A number of courts have ruled that the legislature has determined admissibility under either the Frye or Daubert tests and that therefore the government does not need to introduce evidence to support that foundation. E.g., Williams v. Dist. of Columbia, 558 A.2d 344, 346 (D.C.1989) (Frye - breath testing); Armstead v. State, 673 A.2d 221 (Md. 1996) (Frye - DNA - no right to inverse Frye hearing);Regan v. State, 590 N.E.2d 640 (Ind.App. 1992) (Frye - blood alcohol testing). In State v. Vega, 465 N.E.2d 1303 (Oh.1984), the Ohio Supreme Court held that the defendant could not call an expert to testify to the general reliability of the intoxilyzer in light of the legislative approval of the device. The dissenting opinion argued that the ruling denied the defendant of his federal and state constitutional right to present a defense. The appellate court in Hawaii agreed with the dissent in Vega in State v. Lowther, 740 P.2d 1017 (Haw.App. 1987) and reversed a conviction where the defendant’s expert was precluded from testifying that the Intoxilyzer does not accurately measure blood alcohol. Thus, in order to lay a foundation for the admission of the arresting officer’s statement that Defendant was under the influence of alcohol or another central nervous system depressant, the State was required to establish two predicates: first, that the HGN FST is a scientifically valid means of discriminating between BACs below 0.08 percent and those at or above 0.08 percent; and, second, that a BAC at or above 0.08 percent correlates with diminishment of Defendant’s mental or physical driving skills. Dr. Burns appears to have been called to testify as to the first predicate. Lasworth, 42 P.2d at 848. Without specialized training and experience, officers may not be competent to offer an opinion that the defendant was under the influence of drugs. People v. Workman, 726 N.E.2d 759 (Ill.App. 2000). In Mata v. State, 46 S.W. 3d 902 (Tex.Crim.App. 2001), the court held that while retrograde extrapolation satisfied Daubert, the expert testimony in that case lacked a sufficient factual or scientific basis to be relevant. 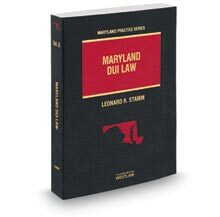 A comprehensive analysis of Daubert and its progeny as applied to standardized field sobriety tests (SFSTs) appears in United States v. Horn, 185 F.Supp.2d 530 (D.Md. 2002), United States Magistrate Paul Grimm’s magnum opus on the National Highway Traffic Safety Administration’s (NHTSA) SFSTs, HGN, walk-and-turn and one-leg stand. The defendant conceded that the SFSTs could be used to establish probable cause and the government conceded that the SFSTs could not be used to establish a specific BAC. Left to decide then was whether and to what extent the SFSTs could be used to provide circumstantial evidence of impairment. The opinion noted that Daubert did not apply only to novel scientific evidence but that with the adoption of Daubert many courts would likely be required to reexamine many types of expert evidence that had previously found to satisfy Frye, in order to determine whether they satisfied the newer Daubert test. Horn, 185 F.Supp.2d at 554. The SFSTs were a case in point. Judge Grimm noted that many of the cases deciding the admissibility of SFSTs simply relied on the decisions of other courts, and did not have evidentiary hearings as extensive as the one the court had held in this case. Horn, 185 F.Supp.2d at 547. Many cases accepted NHTSA’s claims of reliability and validity without critical analysis or based on judicial notice without a complete record. The defendant called Spurgeon Cole, Ph.D., Professor of Psychology at Clemson University, Yale Caplan, Ph.D., former chief toxicologist for the Office of the Medical Examiner in Maryland, Joel Wiesen, Ph.D., an industrial psychologist, and Harold Brull, a licensed psychologist, who testified either in person or by affidavit, that the tests were unreliable to prove a person was impaired by alcohol. Some of the witnesses were extremely critical of the methods used by NHTSA to test and validate the SFSTs. For example, Dr. Cole noted the unacceptably high error rates of 47 percent in a 1977 study and 32 percent in a 1981 Final Report, and the unacceptably low average inter-rater reliability rate of 57 percent. The field studies conducted for NHTSA in the 1990s contained many flaws including lack of adequate controls, multiple variables affecting arrest decisions, and a high base level of impaired drivers. Dr. Cole’s own study showed officers classified 46 percent of sober individuals as too impaired to drive. The studies which NHTSA relied on had not been subjected to peer review and published in the sense contemplated by Daubert. Judge Grimm noted that under Rule 702 the proponent of the evidence must prove that the proposed expert testimony be both reliable and valid. In this context, reliability means the ability to duplicate the results, and validity means it “has a logical nexus with the issue to be determined in a case.” Horn, 185 F.Supp.2d at 539. Based on the evidence he heard that the studies NHTSA had relied upon in adopting the SFSTs were seriously flawed, had not been subjected to peer review, and had not gained acceptance in the relevant field, Judge Grimm found the SFSTs to be lacking in both reliability and validity and held that the SFSTs do not satisfy Daubert. More specifically, he found the government had failed to satisfy Daubert’s testing and error rate prongs. With respect to peer review and general acceptance, he found the government would likely fail as well.